MLS# 180048961 - 15012 Wineridge Place, San Diego, CA 92127 - Abacus Properties Inc. Courtesy of Mark Schultz Broker, Mark Schultz. 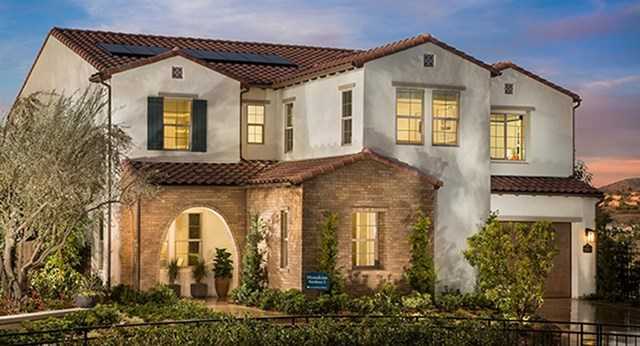 The Montalcino Model at Castello is ready to own! This beautiful home at Castello at Heritage Bluffs with its open concept floor plan, double sided stacking doors leading to the California Room, a Pet Suite featuring an extra refrigerator and extra washer/dryer, and a Multi-Generational Suite on the first floor – perfect for extended family members or long-term guests! The Kitchen features dark, Espresso cabinets with oversized island with Calcutta Quartzite and a tiled backsplash to the ceiling. Please, send me more information on this property: MLS# 180048961 – $2,192,900 – 15012 Wineridge Place, San Diego, CA 92127. I would like to schedule a private showing for this property: MLS# 180048961 – $2,192,900 – 15012 Wineridge Place, San Diego, CA 92127.